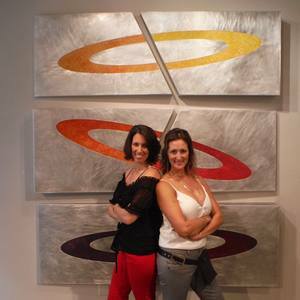 KX2 is a collaboration between sisters Ruth Avra and Dana Lynn Kleinman working out of Florida and New Mexico, USA. The work combines 3D metal construction and paintings to create contmporary wall pieces in multiple panel format. Pieces are large scale in aluminum construction and miniature scale in sterling silver.